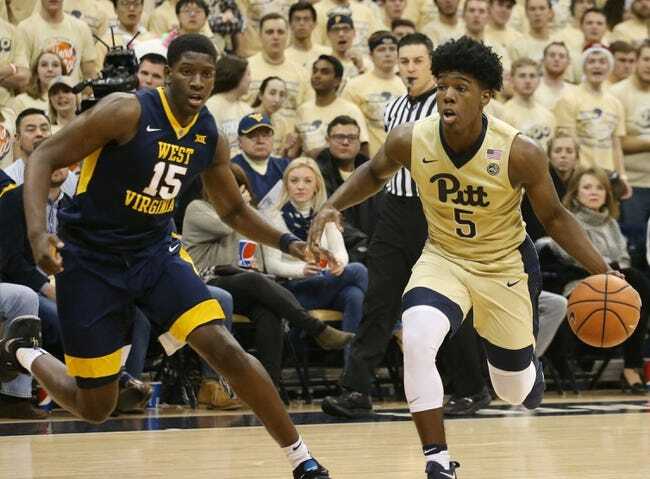 The Pittsburgh Panthers and the West Virginia Mountaineers meet in college basketball action from the WVU Coliseum on Saturday afternoon. The Pittsburgh Panthers will look to bounce back after just their 2nd loss of the year coming in the form of a 71-70 loss to Niagara in their last outing as a 16.5-point favorite. Xavier Johnson led Pitt with 19 points on 7 of 16 shooting with 3 threes while Trey McGowens and Au’Diese Toney each had 12 points, with McGowens adding 4 steals while Toney added a team-high 9 rebounds. Jared Wilson-Frame chipped in 8 points and a team-high 6 assists in the losing effort. Johnson leads Pitt with an average of 16.3 points and 5.2 assists per game while Toney leads the Panthers on the glass with 6.9 rebounds per game this season. As a team, Pittsburgh is averaging 78 points per game on 47.5% shooting from the field, 35.8% from behind the 3-point line and 72.1% from the foul line this season. The West Virginia Mountaineers will be looking to rebound after a 66-56 loss to Florida in their last outing. Chase Harter was the only Mountaineer to score in double-digits with 11 points on 4 of 5 shooting with 3 triples. Esa Ahmad added 7 points and 9 rebounds while Jermaine Haley chipped in a team-high 5 assists in the losing effort for WVU. Ahmad leads the Mountaineers in scoring this season with 15.4 points per game while Brandon Knapper leads the Mountaineers with 2.6 assists per game and Sagaba Konate leads West Virginia on the glass with 7.9 rebounds per game this season. As a team, West Virginia is averaging 82.6 points per game on 44% shooting from the field, 34.9% from behind the arc and 68.9% from the foul line this season. Pittsburgh is 7-0 ATS in their last 7 games against a team with a winning record and 11-2 ATS in their last 13 non-conference games while the under is 39-13 in their last 52 games overall. West Virginia is 1-6 ATS in their last 7 games against a team with a winning record and 2-7 ATS in their last 9 games overall while the over is 4-1 in their last 5 non-conference games. Pittsburgh is 5-1 ATS in the last 6 meetings between these two teams and 10-4 ATS in the last 14 meetings between the two teams at West Virginia. I expected West Virginia to be the favorite when the line was released, but this spread is just another example of Vegas showing no respect to Pittsburgh here. Sure, the Panthers losing to Niagara was a shock for most people, but the Panthers have still been one of the more reliable teams ATS this season, while the Mountaineers have struggled against above average competition and have issues against the number this whole season so far. The Panthers have also had a lot of success in this matchup, so I’ll take the points with Pittsburgh here.